Day 1 Day 2 Day 3 Day 4 Day 5 Day 6 Day 7 apologies for the post being late today. 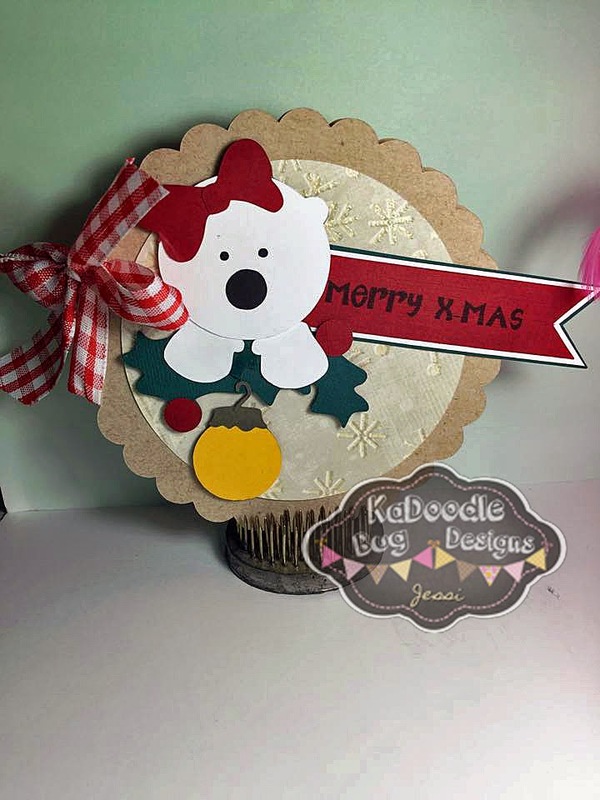 Welcome to the Eighth day of Christmas, today I have a card for you all using “Holly Bear” (http://kadoodlebugdesigns.com/shop/index.php?main_page=product_info&cPath=47&products_id=603) from Kadoodle Bug Designs. I used papers from my scraps stash. Sweet little bear. My number today - 2.